Vacuum packaging is still one of the most efficient methods to preserve food products. 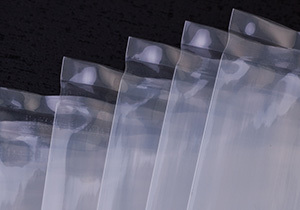 Increase the shelf life of your products by providing a barrier from atmosphere and moisture. Reduces loss of moisture and frostbite. Gives a space saving, good looking package. Protects from contact with ambient air which in turn protects the product from oxidation, bacterial growth and mold. Protects from UV rays which are, for a great part, the source of colour change issues. The most common pouches we supply. Available in a variety of sizes. Produced from high barrier PA/PE film (Polyamide/Polyethylene). Standard thicknesses include 70µm, 90µm, and 120µm. Other thicknesses are available on request. 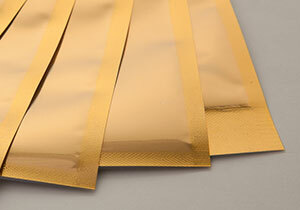 3 seal pouches can be repeat printed with your company’s EC logo. 3 seal pouches are available clear or tinted in red, blue or yellow. Manufactured from the same high barrier PA/PE material as the 3 seal pouches. 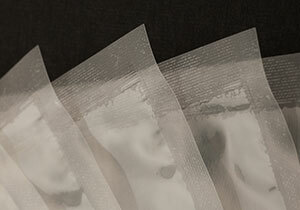 Our tubular pouches, which have no side seals, cling to the product to show off the contours. They are ideal for the packaging of fresh products such as sausages. Gold with silver reverse. The front of the pouch is clear. They are available with or without a eurohole. DPG Tartan’ vacuum pouches are available in 3 stock sizes. 160 x 250, 200 x 300 and 210 x 650. 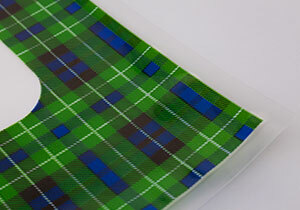 Our generic tartan design allows you to have a printed vacuum pouch without the associated print costs. 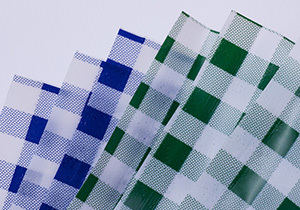 Printed gingham 3 seal pouches are available in a range of sizes and colours. 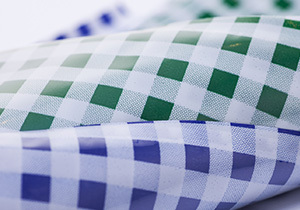 Common gingham colours include green and blue. 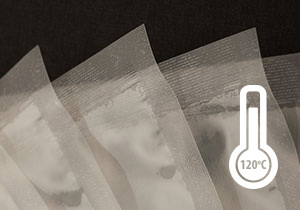 Our standard range of boilable 3 seal vacuum pouches are 85µm. 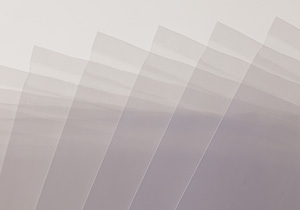 They are produced from OPA/PP film (Oriented Polyamide/Polypropylene). 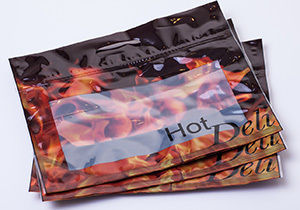 These bags share the same properties as our standard 3 seal pouches however may be boiled up to 120°C. Ideal for use in ‘sous-vide’ cooking. A well designed printed vacuum pouch can help sell your product and enhance brand awareness. 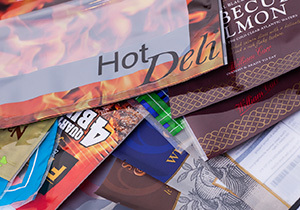 DPG Packaging Ltd offer printed vacuum pouches in a variety of sizes, gauges and materials to suite each customer’s individual specification. We use the reverse flexo sandwich printing technique, in up to 10 colours. The printed image is embedded between the different layers of film, therefore the inks have no contact with the product. This also protects the print from external impacts such as scratches, abrasion, heat and moisture. 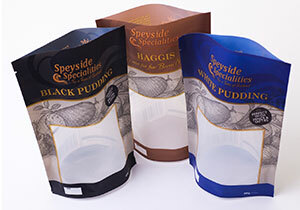 Stand-up pouches are a highly versatile product and have become hugely popular due to the strong visual impact created by a stand-up pouch on the shelf. They are available with differing gussets depending on the application. Round bottom gusset for lighter products or K-seal gusset for heavier product requirements. 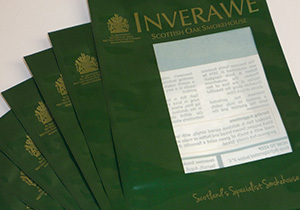 As with all our bags the stand-up pouches can be printed in up to 10 colours using the flexo technique and are available with a variety of extras. All our vacuum pouches are available with added special features including, euorhole, tear notch, ziplock, easy open, peelable and spout.